Sony has kicked off its latest 4K projector lineup in style, reckons John Archer. Read our SONY VPL-VW270ES Review. After having the 4K projector space pretty much to itself for a few years, times have got tougher for Sony’s projection division. 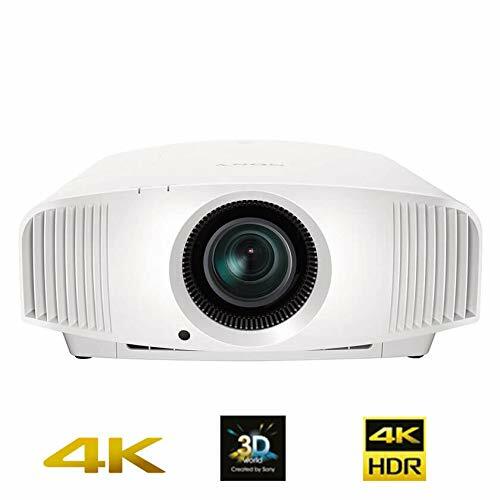 We’re now seeing models certified for 4K playback (using DLP’s rapid mirror-switching technology) selling for as little as a £, and JVC will soon be launching its first native 4K projectors, having first aimed for the very high-end with its laser-based DLA-Z1. Sony’s impressive new VPL-VW270ES – it’s entry-level 4K PJ, albeit priced – suggests that the brand isn’t feeling fazed by all the extra competition, and is sticking with its UHD projection game plan. There’s no compromise in build quality and design. The VPL-VW270ES still enjoys a robust, metallic finish, and is actually a touch bigger – specifically, taller – than previous Sony mid-range and entry-level PJs. It also still features a promisingly large lens recessed into the centre of its front fascia, and looks pleasantly domesticated thanks to its rounded and arced top edge. 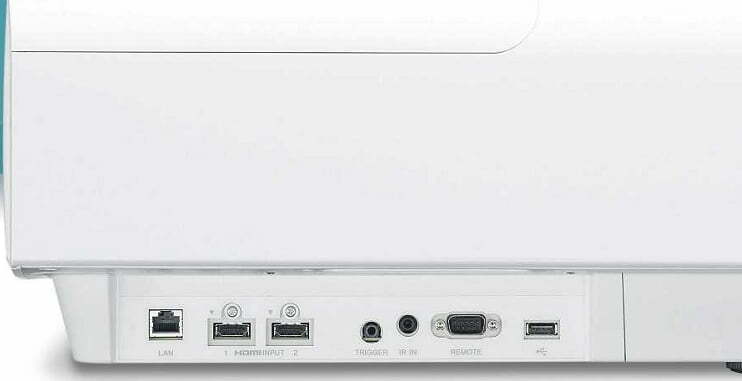 The connections tucked under the projector’s right side are an improvement on those found on any previous entry-level Sony 4K projector. This is because the two HDMI inputs now support full-bandwidth, 18Gbps 4K HDR images at 60fps – which is handy now that broadcast HDR is becoming a thing. Other connections of note include a 12V trigger and an RS-232C control port. 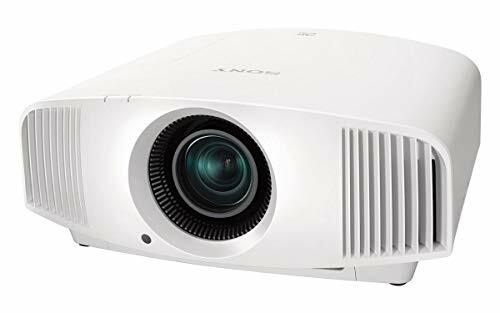 The projection engine is built around three of Sony’s native 4K (actually 4,096 x 2,160) SXRD projector chips, and there’s support for HDR10 and HLG HDR as well as standard dynamic range. A 225W lamp apparently delivers 1,500 Lumens maximum light output, but Sony doesn’t provide any contrast ratio specifics. Setup is relatively easy; the PJ’s zoom, optical image shifting and focus systems are all motorised and accessed by the large, spacious, logical and backlit remote control. The zoom extends to a whopping 2.06x, making the projector nicely flexible. As expected, the VPL-VW270ES introduces more than just improved HDMI connectivity compared to the previous VPL-VW260ES. A new HDR Reference mode, for instance, tries to deliver accurate saturations of colours right up to the 1,000 nits of peak brightness used by many HDR sources, rather than ‘rolling off’ below 1,000 nits, as happens in the unit’s other HDR modes. Also new here is a 4K version of Sony’s Motionflow processing for reducing judder; an Input Lag reduction mode for gamers that reduces the time the PJ takes to render pictures to 30ms; and anamorphic lens compatibility for 4K signals. Onscreen menus are straightforward, although getting the best from HDR sources will mean revisiting some of the menus more often than you might want. In particular, I’d recommend setting HDR Contrast to 77 for 1,000-nit sources, and nearer 90 for 4,000-nit encodes. And that’s assuming you know what brightness level an HDR source has been mastered to, of course. Sony’s core picture technology might not have changed much, but this beamer is a significant step forward from the VW260ES. When it comes to dark scenes, it handles the gorgeous blackness of space in the new 2001: A Space Odyssey 4K Blu-ray with more authority and black level depth than its predecessor, and does so without having compromised its brightness at all. On the contrary, since its peak light levels seem around the same as those of the VW260ES, while black levels are deeper, its imagery feels consistently more contrast-rich. The dynamics of 2001.’s beautifully remastered space sequences are presented with panache. This model doesn’t feature a dynamic iris; for that you’ll need to find £ or so more for the step-up VPL-VW570ES. Yet this relative simplicity from a contrast perspective does mean that pictures appear completely stable (free of light jumps and flickers) even during 2001.2 s most extreme light-to-dark cuts. contained within HDR sources. But through its clever brightness and contrast adjustments with HDR, and Sony’s Triluminos colour system, it does give what appears to be a gentle but engaging HDR push. There’s an almost visceral impact to this Sony’s 4K performance, an effect helped by clarity remaining impressively intact when there’s motion in the frame. Stick with the True Cinema motion mode, and everything from the statesmanlike rotations of the space ships in 2001… to the handheld camera work of The Bourne Supremacy (Ultra HD Blu-ray) always look natural, detailed and believable. In fact, by the time you’ve added together the PJ’s extreme clarity, improved contrast, impressive motion and freedom from any sort of noise, you’ve got an awesomely direct viewing experience. The PJ’s brightness limitations lead to some clipping of detail and toning in peak light areas of HDR pictures (such as 2001…’s most intense shots of sunlight, or visor reflections). This is the downside to using high HDR Contrast settings, as raising the brightness ‘floor’ of HDR pictures inevitably causes more clipping in the brightest areas. This problem is exacerbated by the HDR Reference setting (which is probably why Sony doesn’t use this mode by default). The PJ is 3D-compatible, but doesn’t come supplied with 3D glasses, so stereoscopic fans will need to find £ for a pair of Sony’s (Lithium battery- powered, rated 100 hours) active shutter spex.